Dubai: Mashreq on Monday reported a full year net profit of Dh2.1 billion for 2018 posting a marginal increase of 0.4 per cent year on year. For the fourth quarter of the year the bank reported Dh312 million net profits, down 19 per cent year on year. 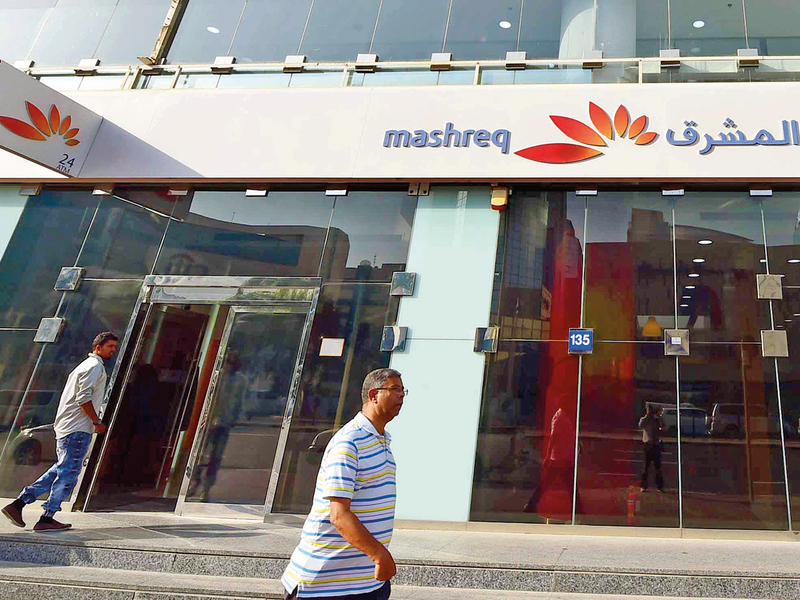 For the full year, Mashreq posted significant decline in impairment allowance with total impairment charges declining by 17.3 per cent year on year. The results also marked a high proportion of non-interest income that accounted for 38.7 per cent of total income. “As all of you are aware, 2018 was a difficult year due to market fluctuations, however we rose to the challenge and managed to sustain our revenues. Much of this can be attributed to the bank’s focus on strategically acquiring good assets and growing the loan portfolio, whilst increasing its funding base,” Abdul Aziz Al Ghurair, CEO of Mashreq Bank. The bank reported strong balance sheet growth last year. Total assets grew by 11.8 per cent to Dh139.9 billion while loans and advances increased by 10.4 per cent to reach Dh69.3 billion as compared to December 2017. Customer deposits grew by 9.4 per cent in the year to reach Dh83.2 billion. Loan-to-deposit ratio remained robust at 83.2 per cent at the end of December 2018. For the year 2018 as a whole the bank maintained sustained strength in asset quality. Non-performing loans to gross loans ratio increased slightly to 3.1 per cent at the end of December 2018. Total provisions for loans and advances reached Dh3.6 billion, constituting 137.2 per cent coverage for non-performing loans. “Improved risk management helped us reduce our impairment allowance by 17.3 per cent year-on-year and what also helps is our strong liquidity and capital position, which enables us to seek and capitalise on future growth opportunities,” said Al Ghurair. Keeping with its conservative dividend policy, the bank’s board has proposed dividend of 34 per cent of net profit while supporting internal capital generation to support business growth with added emphasis on digital transformation. “2018 was a year of further innovation at Mashreq. We are employing the latest technology and with this digital enablement we are re-imagining customer journeys to ensure they are smoother and better than ever. Furthermore, we are well on our journey of change and our agile transformation continues; we are working to expand it across other units,” said Al Ghurair.